Welcome to 64 Winding Lane, your future home. Driving up to 64 Winding Lane, you notice consistency, and cleanliness among the neighbors. You notice how close you are to the highway, the main roads, yet so far. If you enter the front door, you get this immediate taste of what the home is about--a welcoming kitchen. 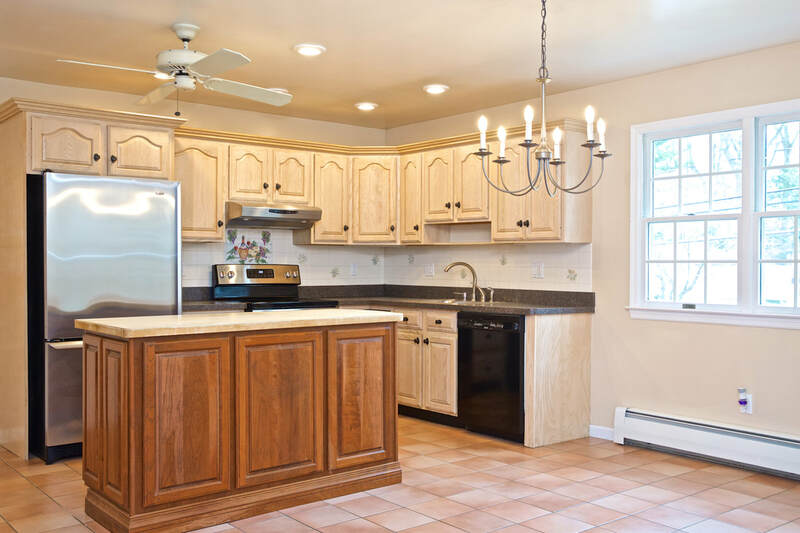 This large kitchen is perfect for all your meals, both for cooking and sitting down with family to eat. It has an island, and is in excellent condition. From here, you can also access the 2 car garage which has a large workshop for storage, and where the brand new boiler rests. You can do your laundry here also. The kitchen also has a coat closet, and what you would expect of a nice foyer/welcoming area for guests. Through the main hallway at the back of the kitchen, there is a full bathroom, that is handicapped accessible, including the shower. It is in really nice shape. There are two bedrooms on this level, that are both spacious and bright. My favorite rooms of the home are both at the back, next to each other. The living room/dining room has a large fireplace and mantle at the center, as well as a slider door that accesses the back patio. The second room, more of a den or family room, is also comfy. It features a wood burning stove, and another exit out back. 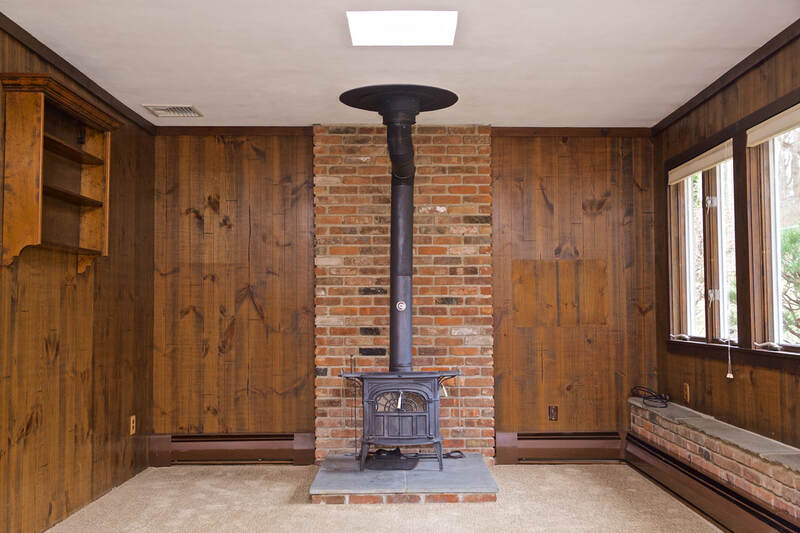 In and around these two rooms there are a series of built-ins, with brick work and wood paneling. These nooks and crannies add much character to an already unique home. The second family room has a staircase up to the master suite, complete with full bath, walk-in closet, vaulted ceilings, and ultimate privacy. It doesn't get more private than this space. The back patio is quite large, with plantings and retaining walls that are all in excellent condition. The back yard is up a level, but quite large, and well taken care of, with a shed at the center. There is a whole-house generator installed on property powered by propane, as well as central air, a security system, and so much more. As if the property itself wasn't good enough, the location need not be introduced. Most everyone is familiar with Cranbury, and when off the beaten path, like at this home, quiet enjoyment becomes a reality. This home has so much to offer. Everything someone might want, in a 2000 square foot package. For those seeking livable space for an older family member, or wanting a private master suite, this home can adhere to your needs. It does have the 3 beds and 2 full baths people are seeking, but also a 2 car garage, and plenty of storage space and entertaining space. This is it.